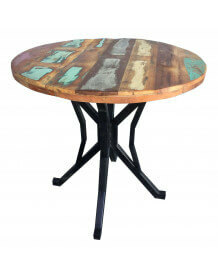 Original dining table with solid wooden top 90 x 90 cm in exotic recycled wood. The colored table has a Mango wooden top from old boats and destroyed houses, this is why there is some painting left more or less marked which gives it a unique charm. 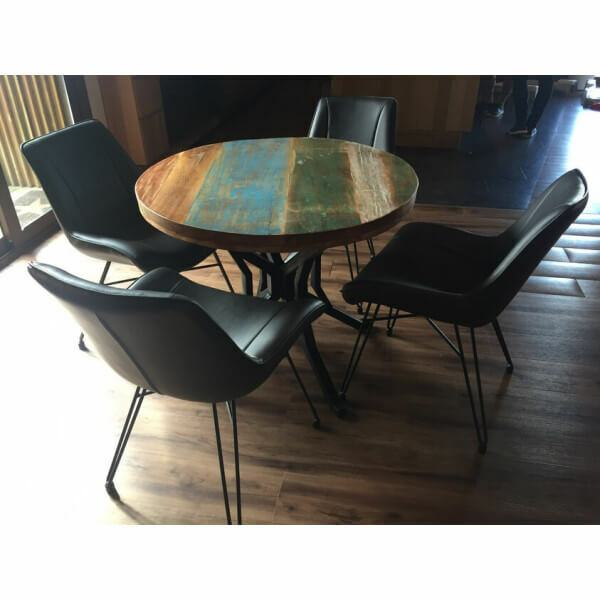 The brown table has a natural recycled Mango wooden top. 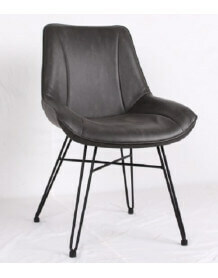 It's leg is in black painted iron in industrial style. The mix of these two styles and these two materials make an atypical table. 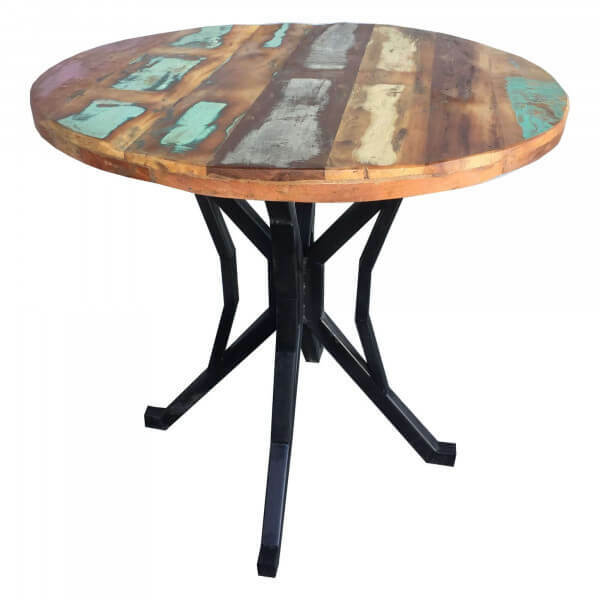 This round table will give a very nice vintage, bohemian touch to your home.